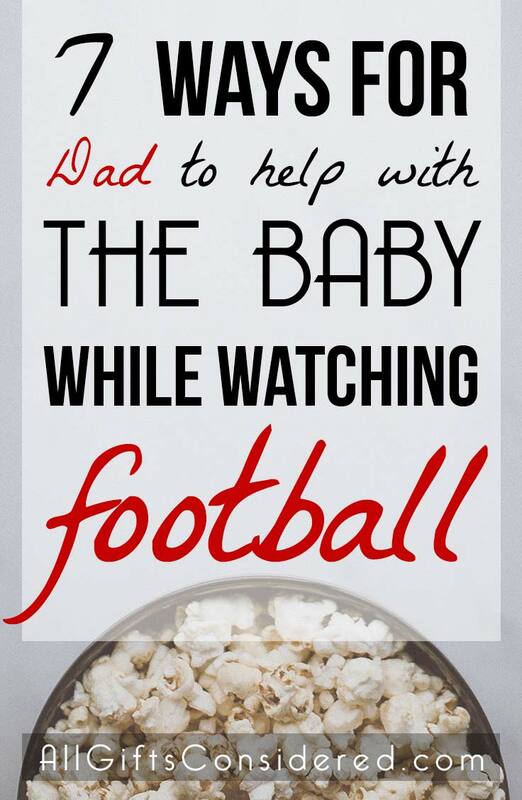 Must football and parenting be mutually exclusive activities? 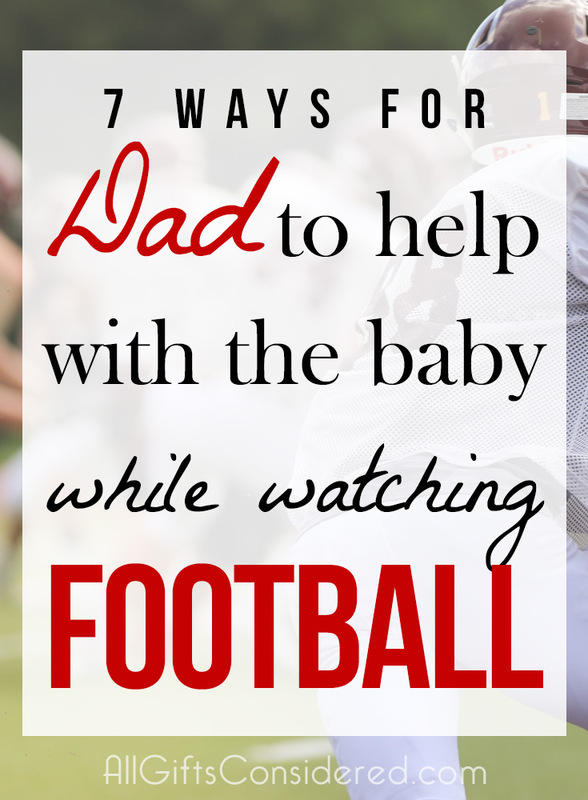 In honor of moms, dads, babies, and football fans everywhere, here is our guide to how to get dad to help with baby while watching football. Become a fan with your man. Get involved in what he likes – get to know the plays, the strategies, the rivalries; have him help you start your own fantasy team; ask questions about the rules; actually, really, watch football with him. He’ll love you all the more for it, and while you and the baby are hanging out during football time, he will probably inadvertently pick up a few baby handling tricks. Try getting up during a commercial break to make a little party snack, and hand off the baby to dad on your way out. He’ll see the value – baby watching = good snacks. Do this enough times and he will start to get the hang of watching sports with the baby. 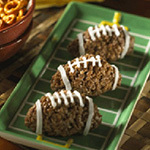 Here’s a list of 12 family-friendly football snack recipes, or you could try some fun stuff like cheddar beer weenies, carmelized onion dip, or just about anything that will go in this football-shaped snack bowl. Dads aren’t really into all the cutesy baby things, like pink frills or baby booties or whatever. But he might feel more comfortable, or more involved and appreciated, if you pass the baby off to him wrapped in a plush football baby blanket or a fun football cocoon. NFL or NCAA licensed team logo gear with dad’s favorite team logo is always a hit, or you could go with a plush football or sports plush baby rattle to add a little fun for dad and baby alike. Commercial breaks are a great time to do some small busy-work tasks. If mom’s had her hands full all day, take over kitchen duties. For example, you can easily empty or fill half a dishwasher on one commercial break. That means over four breaks, you can take care of an entire cycle of dishes (empty it, then fill it up again). Five minutes is enough time to clear off the table, vacuum or sweep the living room, take out trash, or refill the diaper genie. There are plenty of things you can do while watching the game. Fold the laundry. Crack walnuts. Prep stuff for the wife’s home business. And, of course, hang out with the baby. You’re smart, you’ll figure out ways to catch the game and have quality kid time. Broaden your thinking to include 10, 20, 30 years down the road… wouldn’t it be great to have football as a family pastime? If your baby grows up with fond memories of watching football on dad’s lap or eating those delicious football snacks together, chances are you’ll have a lifetime buddy with whom you will enyoy watching and attending games together. Gametime is a great time to rock the baby, do tummy time, pull out the playpen, or just snuggle. Make the most of it! Life is a balancing act. Parenting, even more so. Some days you need to just shut it down and change the diaper. Or maybe watch on mute while rocking the baby, so that mom can take a nap in peace. These are such creative ways! I’m already sharing this post with every new dad I know. Thanks!